Today a frustrated President Obama summoned congressional leaders to the White House for a drop-dead meeting on the debt ceiling. Twice now Speaker Boehner has double-crossed the President by breaking off the talks without any warning. 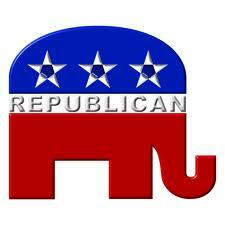 It is clear now the GOP is more interested in presidential politics than they are in the fiscal health of the nation. In some ways this whole debt-ceiling debate is as phony as a three-doller bill. Get this. The money they are talking about has already been spent. Let me explain. Congressional spending authority is like running up credit car debt. The money has already been spent, even before you get the bill. Refusing to raise the debt ceiling is equivalent to deciding that y ou’d rather not pay the bill. Previous Entry: HAVE THE DEMOCRATS FOUND A WINNING TICKET? Next Entry: DID TRUMP SOLVE THE ‘BIRTHER’ ISSUE?